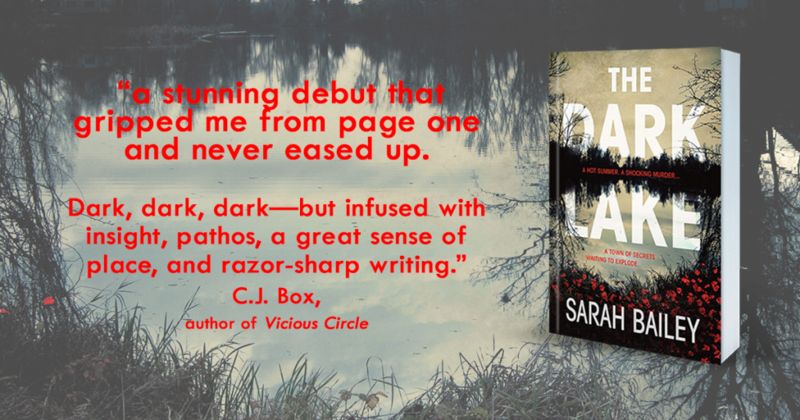 One of our most anticipated books of the year hits shelves next month, so we thought we’d share some of the early love for The Dark Lake from our in-house readers, other authors and booksellers. Plus, you can read the opening chapters below! A beautiful young teacher has been murdered, her body found in the lake, strewn with red roses. Local policewoman Detective Sergeant Gemma Woodstock pushes to be assigned to the case, concealing the fact that she knew the murdered woman in high school years before. But that’s not all Gemma’s trying to hide. As the investigation digs deeper into the victim’s past, other secrets threaten to come to light, secrets that were supposed to remain buried. The lake holds the key to solving the murder, but it also has the power to drag Gemma down into its dark depths. The Dark Lake is an addictive crime thriller, a mesmerising account of one woman’s descent into deceit and madness, and a stunning debut that is already causing a stir around the world. I read The Dark Lake in a single sitting, one great gulp of pure reading pleasure. I loved the frazzled female cop as narrator, not a hard-bitten tough guy or neurotic smartarse detective but a flesh-and-blood young mother you’d like to have a drink with: flawed, human and very real. I loved that she took me down a dark and twisting road, told me things I couldn’t completely believe, and made me doubt everything I thought I had figured out. This is a different kind of crime novel and a stunning debut that will find readers all over the world. All I can say is: Dive into The Dark Lake! A pacey, gutsy, drama-filled read; reaches a new level of Aussie crime writing. I really loved this. A deeply satisfying piece of Australian noir with a wonderfully compelling plot and characters who really lived in the reading and stayed with me long after I put it down. It made me think of Peter Temple’s The Broken Shore. An exceptionally well-constructed and evocative mystery. It was 38 degrees the day I read The Dark Lake. Sometimes I couldn’t tell if the heat was coming from outside, or off the page – the blistering summer that the fictional town of Smithson is experiencing in the novel felt all too real. This is a wonderfully gripping mystery with a really satisfying conclusion, peopled with fascinating characters, from the murder victim to the protagonist tracking down her killer. It’s beautifully structured too, flashbacks to the past and short interludes from other points of view are perfectly paced, leading the reader step-by-step (but blindfolded!) to the shattering end. More please!! 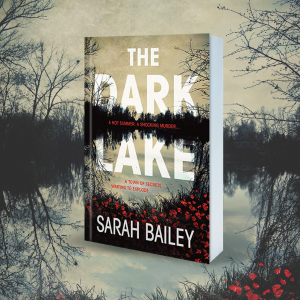 Sarah Bailey’s debut ticks all the boxes – eerie mystery, great Australian setting, strong female lead and thrilling twists that kept me guessing until the very end. A must-read! 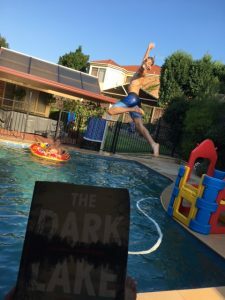 I read The Dark Lake hot on the heels of Michael Connelly’s The Wrong Side of Goodbye and I found it stood up really well against such a high benchmark. I found it incredibly engrossing and compelling reading. Loved the tangled, twisted plot and it captured that small town dynamic perfectly. Detective Gemma Woodstock’s personal struggles are intertwined deftly with her investigation of the murder case of her old school friend. The guilt that’s hung over her for the past decade continually threatens to cloud her detective work which in turn leads to her make wrong connections both in the case and in her relationships. An incredibly satisfying read by a writer with a talent for creating characters who feel real and true. You won’t put this book down. Nor will you want it to end. Nuanced and layered, The Dark Lake is an engrossing read; one that will keep you guessing right to the very end. The book everyone will be talking about in 2017. Bailey constructs an exhilarating tale of suspense told from the point of view of an unconventional detective who defies entrenched character tropes. The early foreshadowing that surrounds the hauntingly beautiful victim develops into a dark puzzle that Gemma must solve before it not only consumes her hometown, but threatens to unravel her deepest secrets. Is it happening? Has it happened? A haunting story of a descent into secrets and lies, told in a stream of consciousness style that will keep you guessing to the end, and like me eagerly awaiting the next book! So our staff obviously love it, but you might think they’re a bit biased, so here’s some reviews from other readers including this one from Booktopia who named it a fave for May even though it isn’t out yet! This is such a beautifully written and utterly absorbing read, it’s hard to believe that it’s the author’s first novel. I love a good character-driven murder mystery – especially one with a complex protagonist and a plot that keeps me guessing. The Dark Lake delivers all of this and more. The characters and relationships portrayed are so intricate and messy and real. Plus, the atmosphere is so alive, the small town so vibrantly depicted, that it was a real struggle for me to put this book down. Police detective Gemma Woodstock has lived in the regional Australian town of Smithson for her whole life, stuck there by a compounding trail of grief, love, comfort and childbirth. Debut author Sarah Bailey depicts both the landscape and Gemma’s state of mind vividly, bringing into focus the intensity of Gemma’s physical and emotional pain and her increasing discontent. Shifts into outside perspectives sometimes pull away from the narrative, but also show that Gemma cannot hide her secrets. The Dark Lake is a solid police procedural. It adds to the trend of haunting, rural Australian crime fiction, and provides a welcome addition to the genre for those left bereft after finishing Jane Harper’s The Dry. Really enjoyed this novel from a debut author. A narrative that totally engaged me, I’d call this a slow burn – we follow the investigation in detail, as the mystery slowly reveals itself. Not a story with many twists and turns, rather a story that felt very real, from both a character and storyline point of view. 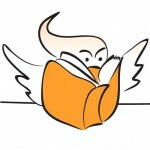 Learn more & read the opening chapters!